I was so overwhelmed by the responses I received from my previous blog entry that I don’t know if I can come up with another ‘share-worthy’ post. But based on the comments, a lot of people have but a slight idea of my plans after announcing that I was going to resign in order to start a location-independent lifestyle. In reality, I don’t really have a clear idea on what I’m going to do. All I know is that I have a few tickets booked and I’ll pursue a freelance career online. Slow travel is what I aim to do. But before going on that trip, here’s an event that also helped me decide to resign earlier than expected. 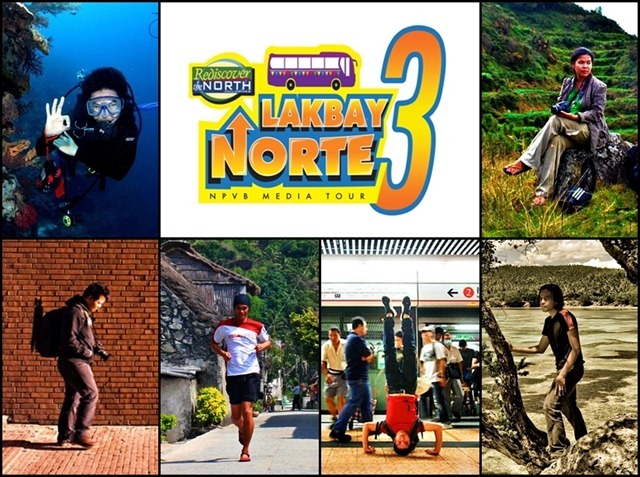 I was chosen by the North Philippines Visitors Bureau (NPVB), along with five other travel bloggers, as part of a media group to tour Northern Luzon dubbed as Lakbay Norte 3: Outdoor Adventures in North Philippines! 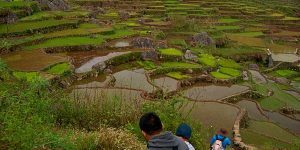 I first read about Lakbay Norte from Estan and Nina when they shared their stories during the second installment of this travel series. 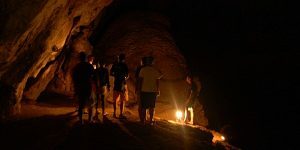 To be given an all-expense paid tour to different destinations in North Luzon and try out different extreme activities was something I could only dream about. But after submitting my application form, I was ecstatic to be chosen along five other bloggers. Here’s the official list of bloggers who were chosen for the January 22-29, 2012 event. Whenever I go to different places, one of the things I look forward to is to find out what physical activities I can do. I’ve cliff-jumped in Malapascua, wakeboard in Camsur, bungy jumped in Macau and so much more. Check out the other things I’ve done just to show how much lunatic I am: I’ve Been to Different Places, But I’ve Never Been to Boracay. Surfing, Skimboarding, trekking, whitewater rafting, etc. – the tentative itinerary seems pretty sick! This is perfect for me as I’m always looking for something extreme whenever I travel. Not that I’m an athletic person, but I just want to find ways to release the energy that’s bottled up inside. 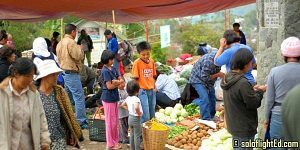 This Lakbay Norte program is a great way to help promote the country as we show to the rest of the world that it’s definitely “More fun in the Philippines!”. I am also looking forward to bonding with these Filipino travel bloggers as I get to know more of each one. parang super heroes lang hehehe…enjoy guys and good luck! Good luck guys! Will be following your Northern adventures! @Jerome: onga noh? ngayon ko lang nalaman. lol. thanks Jerome! OO naman, up close mo picturan si Kuya Christian, idol lahat mga kasama mo, siempre pati ikaw. 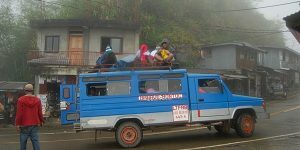 Uber saya niyan! Enjoy the moment and be in Boracay soon. hehe..
i've seen the itinerary for this trip and it looks exciting. have fun ed! ako din, magiging sikat na! isama mo ako sa pagsikat mo ed! @vin: thanks vin jam-packed adventure toh! Ingat and enjoy your trip! BTW, basig mag salisi ta sa airport ani. Lapit na! Take care guys. What a rockin' line up! e di kayo na! lol! Anong kaguluhan to?!?! bakit nagsama sama ang mga bigatin ha?! hehehe! Ang galing naman. Full force. Exciting! Mahihiya si alvin and the chipmunks. ^_^ Goodluck guys! enjoy! enjoy the Norte trip. regards sa ibang byahero. awaiting posts from the adventure. @thepinaysolobackpacker: haha, how's the trip gael? hehe. Kaylan kaya ako makakapg gala sa norte! Thanks for shariang this adventure to us! 🙂 GOD BLESS you always po! Wow! Norte! That would be my next trail after Palawan,soon! hehe! Enjoy the travel ed! 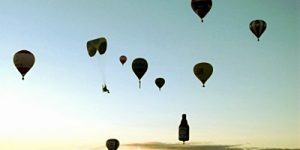 You guys inspire me to continue my newly started blog. I love the head stands! Keep your trails going! Go for it! All for the love of travel…. 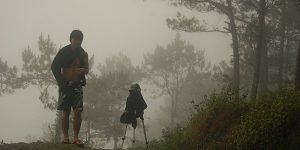 and I agree, Christian of Lakad Pilipinas in one great travel photographer – his works are superb!